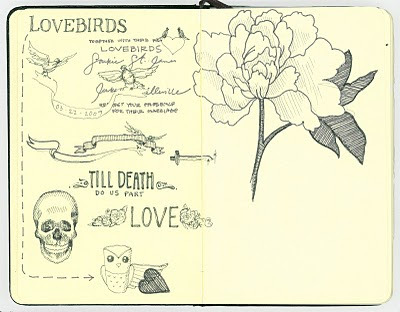 These are some doodles from my latest sketchbook. It looks beautiful already! Hope this doesn't sound cheesy... but I'm soooo proud of you!! please use/show all your handy work with my wedding stuff whenever you want. I still brag about you whenever I get to talk about my wedding:)!!! Way to go Kerry!